Thinking of replacing Worksoft for SAP business process testing? 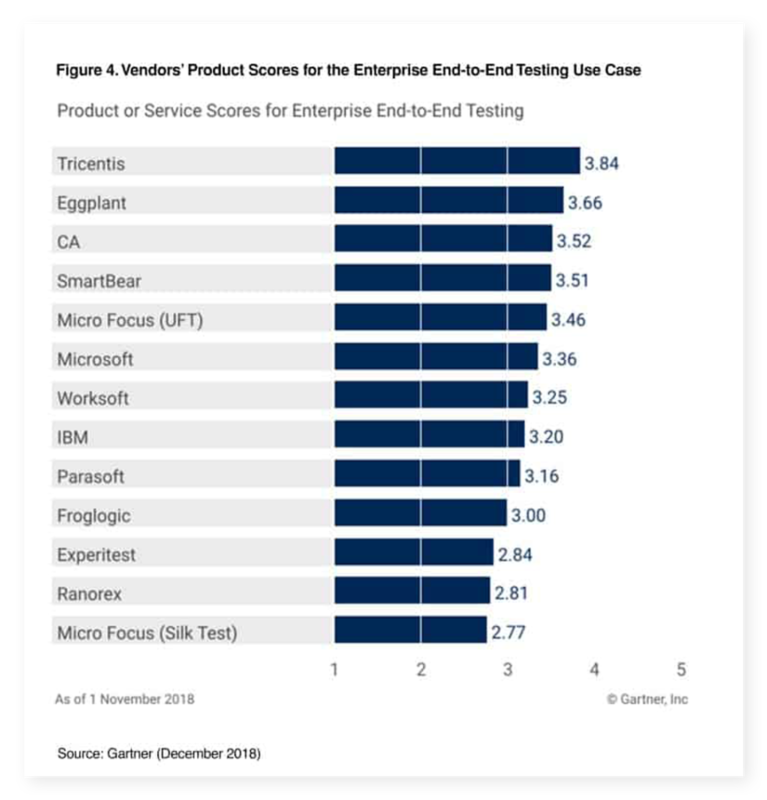 Tricentis—the SAP testing tool with the highest Enterprise End-to-End Testing score in the Gartner Critical Capabilities for Software Test Automation 2018—imports Worksoft business process tests, enabling comprehensive, end-to-end testing. To help you upgrade your Worksoft tests to meet the needs of modern enterprise architectures, Tricentis offers automated migration of Worksoft tests. By importing Worksoft business process test artifacts, you create “building block” tests that can be reused across multi-channel (mobile, cross-browser, API, web, etc.) end-to-end tests as well as complemented with exploratory testing. Moreover, you can take advantage of additional Tricentis capabilities such as synthetic test data generation, risk coverage optimization, service virtualization, test management, analytics, and DevOps/ALM tool integrations as you extend and optimize those tests. When you’re ready to take your business process testing to the next level, you can start Tricentis’ industry leading enterprise end-to-end testing and the industry’s most extensive SAP Solution Manager integration—with risk-based testing and change impact analysis. Get Gartner’s perspective on how Worksoft and Tricentis compare in this complimentary report. The fully-customizable Worksoft test migration process converts technical information, test case logic, and test data. Details about the system under test are migrated to a business-readable representation of core elements. Multiple types of tests artifacts can then be rapidly defined based on this model. Since each unique technical element is represented by a single model element, test maintenance is simple and centralized. Test case logic is imported into Tricentis Tosca and translated into our model-based test framework. Unlike scripts, the resulting tests are simple to understand and extend as the associated application functionality evolves. Existing test data is captured and imported into a comprehensive repository of stateful test data objects. This data can then be used across all automated test cases and service virtualization assets. It is easily readable and manipulated via a business-readable UI. Moreover, it can be rapidly extended with synthetic test data generation—increasing coverage to help expose defects.